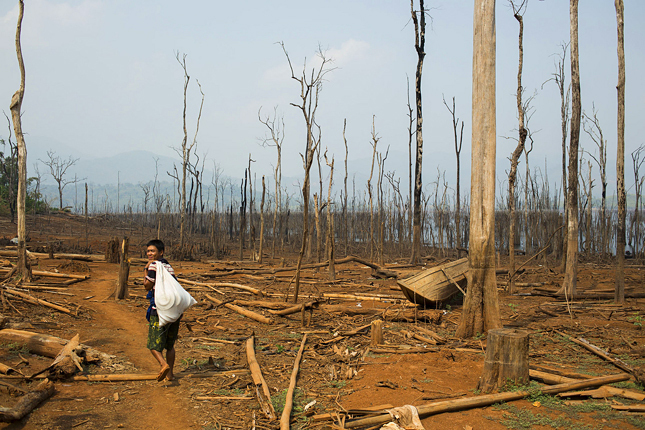 ﻿ Can Myanmar Avoid Conflict Pitfalls in its Hydro Blitz? Can Myanmar Avoid Conflict Pitfalls in its Hydro Blitz? Myanmar is undergoing multiple transitions, from military rule to democracy, decades of civil war to peace, and from a command economy to a market-based one. No less of an important challenge amidst this backdrop of change and hope is addressing the country’s energy poverty. Despite being rich in energy resources, including hydropower, coal, and natural gas, Myanmar has the lowest electrification rate in Southeast Asia. As the country develops, significantly more power will be needed to meet projected increases in demand while expanding access for the country’s predominantly rural population. Currently, around 70 percent of the population and 84 percent of rural dwellers lack access to reliable electricity. The government has set an ambitious goal of providing universal access to electricity by 2030. Aided by the World Bank, Japan, and the Asian Development Bank, an electrical grid is planned to encompass 7.2 million more households at a cost of $5.8 billion. With only four percent of its abundant hydropower potential tapped so far, damming more of the country’s large rivers is chief among the government’s plans. While increased hydropower generation is essential to alleviating poverty and meeting Myanmar’s development goals, doing so without interrupting the country’s fragile peace process, and while meeting the needs of its dispersed rural population, will take careful planning. Myanmar’s hydropower potential is estimated to be more than 100 gigawatts. Ninety-two possible large hydropower projects have been identified with a total installed capacity of over 46 gigawatts. Around 40 percent of the identified capacity is in Kachin State with significant potential also identified in Shan and Kayin States. Constituting Myanmar’s ethnic borderlands in the north and east, two of the country’s major rivers – the Irrawaddy and the Salween – flow through these states. They are also among the poorest, most conflict-affected parts of the country, where the current electrical grid barely reaches. Large hydro projects, if not well planned, carry adverse social and environmental impacts, and ethnic minorities living in these areas will have to bear the brunt of the consequences. The Myitsone Dam – one of seven planned on the Irrawaddy – is currently suspended due to popular opposition. An estimated 10,000 ethnic Kachin people will be displaced if it goes ahead, and those dependent on the river will see their livelihoods disrupted. Backed by Thai and Chinese investors, a further six dams are approved for the Salween, the last major undammed river in Southeast Asia. The Tasang Dam in Shan State, slated for completion in 2022, would be the world’s fourth-largest with a projected capacity of over seven gigawatts. Militarization and displacement of the population around the dam site has already provoked protests among parts of the ethnic Shan population. Furthermore, in a situation where control over territory remains contested, ethnic armed groups often see the extension of the grid and associated developments as a penetration of the central state into their areas. Whereas many view hydropower as a clean energy source essential to Myanmar’s development, critics question the pursuit of mega-dams. Myanmar faces a trade-off between the export of electricity and meeting domestic consumption needs. Indeed, current plans are aimed more at generating revenue by supplying electricity to foreign markets – namely, China and Thailand – and rapidly growing urban centers, than the needs of the rural majority, particularly the ethnic minorities living in the areas where these projects will be based. The Tasang Dam is a case in point: around 85 percent of electricity generated is slated for export to Thailand, despite the lack of electricity in surrounding areas. A United Nations Development Program report in 2013 identified the strong emphasis on export and industrialization as inhibiting energy access for the rural majority. Furthermore, the World Bank has said that the grid roll-out will reach Chin, Shan, Kachin, and Kayah States last. It may take more than decade, if at all, for grid connections to be made, not least due to ongoing instability and question marks over the high costs of connectivity. The risk, therefore, is that these restive communities face the double burden of being the last to benefit from new electricity projects while bearing the brunt of the environmental and displacement effects associated with them. Carefully implemented compensation and resettlement schemes for affected communities will be crucial to managing social tensions. But this is not enough. There is also a need for more rigorous and transparent social and environment impact assessments and consultation with local leaders that go beyond lip service to concerns. Communities need to be given a greater stake in determining the development of their lands by the new government, and less sensitive locations and sizes for dams need to be considered if socio-ecological “red lines” are exceeded. The halting of construction on the Myitsone Dam in 2011 is a good precedent in this regard, showing that the previous government had become more attuned to such concerns. Encouragingly, the government and development community have also increasingly paid heed to the need for expanding and upgrading rural renewable energy options. These include micro-hydro or “run of the river” systems; other off-grid renewable energy schemes (solar, wind, biomass); and energy efficiency measures (for example, more efficient and sustainable cookstoves). However, a lack of funding, technical support, seasonal variations, and institutional capacity, among other factors, remain obstacles to their effective implementation. Furthermore, these are treated mainly as temporary “pre-electrification” measures prior to connection with the national grid rather than possible long-term solutions. Remarkably, given the geography and rural nature of the country, Myanmar’s current energy plan is for 98 percent of electricity to come from grid-based sources, with permanent mini-grids (suitable especially for remote rural locations) only compromising 0.15 percent. Meeting energy demand through greater localized production – notwithstanding its challenges – is therefore not a strategic priority. There is no panacea to Myanmar’s electrification needs. Yet, failing to invest more in less damaging alternative options while pursuing “cost-effective” mega-projects that threaten rural livelihoods, particularly in ethnic minority areas, may exacerbate the energy divide and has the potential to exacerbate tensions and unrest already deeply ingrained after decades of conflict. Having won a landslide victory in Myanmar’s first openly contested elections in 25 years last November, it remains to be seen how Aung San Suu Kyi’s National League for Democracy will navigate the tricky dichotomy between the national interest of power development and revenue versus the local and regional costs for ethnic minorities. Failure to ensure these groups have a greater say in how their lands are developed will bode ill for the peace process and governance in general. Alec Forss is a writer and editor at the Stockholm-based Institute for Security and Development Policy. Sources: Asian Correspondent, BBC, Castalia Strategic Advisors, Center for Strategic and International Studies, Institute for Security and Development policy, Kachin Development Networking Group, Radio Free Asia, Reuters, The Myanmar Times, UN Development Program, World Bank, World Hydropower Congress. Photo Credit: An artifical lake created by the completion of Shwe Kyin Dam in 2009, courtesy of Norwegian People’s Aid.